Today, 3D is being used everywhere. Its popularity is continuously increasing due to the features and benefits it offers. Experts believe that everything ranging from games and movies to handhelds and laptops will turn into 3D products within a year. 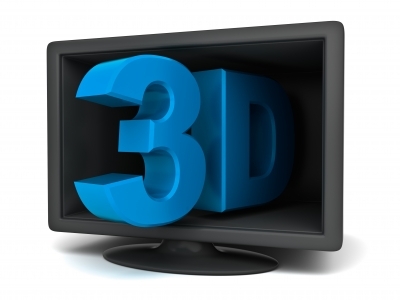 The shipment of 3D TVs increased during the 2nd quarter of 2011.This would be applicable even though you do not choose to have it that way. However, many people also believe that it is as simple and straightforward to get used to 3D as it is with a surround-sound system or probably switching to a widescreen from 4:3. There are certain complications; however, the technology is worth spending a little time on. On the other hand, 3D, like any other first-class technology is accompanied by several risks. Technology experts believe that a lot of research will have to be conducted in order to assess the long term impact of its use. 3D displays a false impression of depth by representing two unique images to each eye. This is one thing that you will find in all 3D displays regardless of any other feature. The opinions of most people differ regarding 3D displays. 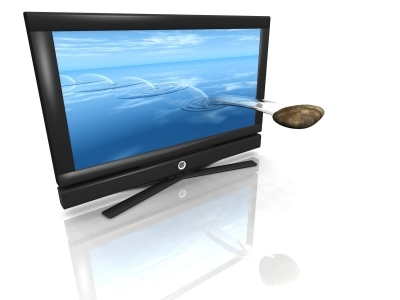 A 3D TV displays two different images on the screen at a time. It shows the pictures moving closer together or further apart so they give an impression as if they have depth in them. A lot of people are also confused as to how the images get delivered. The answer to this question is that the delivery of images depends absolutely upon the 3D system that is being used. It is also influenced by the process by which the cameras are able to split the image while filming. Moreover, one can also evaluate through the point where they get reunited. Experts believe that they work over the processes ultimately according to which two images trick your brain into believing that the image is actually 3D. Some people think that it is too exciting whereas in fact, it is not that way. If you have filmed something in 3D such as a musical concert, it would be done on two different cameras that would sit alongside each other. On the other hand, if you are watching a film which is mainly standard footage with 3D, it will illustrate courtesy of effects. Viewers are also a little confused about whether they should be wearing those custom glasses while watching 3D filming. The answer to this query is yes, you can certainly use these glasses to watch 3D filming. Although, many people find wearing these glasses a little uncomfortable, overall they help you experience better views. At the same, it is also being questioned whether it is suitable to get glasses that are sold at cinemas. Although, you can wear them, it is not advised since they are considered to give you passive views which actually mean that cinemas use complex and intricate 3D technology. The fact is that the glasses simply filter the light coming in. Not all, but certain 3D televisions make use of active glasses which indicates that it also includes a battery and wiring in each set. These two play a major role in developing 3D images. A lot of 3D televisions also come with at least two pairs, whereas an additional set of pairs costs you $185. The battery runs for approximately 100 hours. For people who think that these glasses are a little dorky, they can purchase designer style frames from opticians. These glasses are easily available in the market and you should stock some pairs so you can get all family members to watch together or even when you want to bring in some friends to watch a match together. As far as 3D Free view is concerned, the manufacturers say that there are no immediate plans regarding it. The reason is that manufacturers believe that consumers still need to be explained a lot of things. A lot of people are less informed about the features, benefits and technicalities of the 3D television which is why they are a little apprehensive about investing in it. Users can enjoy 3D movies and 3D games on these sets. Technological experts believe that gaming is the driving force of sales of 3 dimensional television sets. 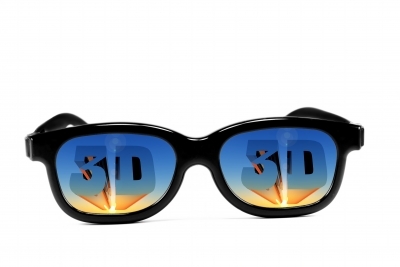 3D technology has become all the rage now, while its market is anticipated to continue growing in the future. Although consumers are a little apprehensive about its use, manufacturing companies are making all the efforts to disseminate more awareness regarding this 3D technology to improve the market. The author D. Baxter is tech-savvy and writes on technological issues. The writer also has a day job that keeps her busy, whereas she is a writer by night. You can learn more at www.LatinoSatelite.com sells the Latino Max channel from Dish Network. Great write-up, Mushfiq bhai. I’d even appreciate the choice of illustrations. The second one is especially very eye-catching. 3D Videos are getting pretty good but I’m still not used to it. I mostly like it in the theaters.